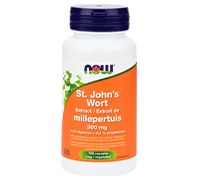 Recently, a lot of scientific research has been done on St. John's Wort, and they have shown that it has many positive effects when taken as a supplement. Perhaps one reason it is so popular is the fact that St. John's Wort has been found extremely effective in losing weight. Scientists theorize that the herb works by affecting the serotonin levels in the brain, which causes one to feel less hungry. St. John's Wort (i.e. plant) named in honor of John the Baptist has been used for over 2000 years. This product has been purified, concentrated, and standardized according to the finest European standards of quality. Directions: As a dietary supplement, take 1 capsule 3 times daily, preferably with meals.